Evan Rocco has been a hero to Paige Lawson for as long as she could remember. So when she runs into him in a bar after a major professional coup, sheâs feeling celebratory and reckless. But it canât go anywhere, because after all, heâs Evan Rocco. When she finds her gaming company in trouble, thereâs only one man she can turn to. Evan canât get the woman who disappeared after their oneÂ­-nightÂ­ stand six months ago out of his head. Heâd honestly thought there was more between them besides just sexâa connection heâd never felt before. When PSL, his favorite game software company, is the victim of sabotage, he jumps at the chance to help them solve the mystery behind The Crimson Lady, the fanÂ­made character whoâs taking credit for murder. Maybe it will get his mind off the woman of his dreams. When he realizes who the CEO of PSL actually is, he has to get over his own issues or else heâll put the one woman in danger he never wanted to hurt. This is book two in the Pierce Securities series, a standÂ­alone story. The first book, while not necessary to read, is Craze. BARNES & NOBLE COMING SOON! Book One in the Pierce Securities series, Craze, is available now at Amazon, Barnes and Noble, iTunes, and most other online retailers. When Krista catches her boss doing the unthinkable, the only thing she can do is run. Straight into the arms of the eyeÂ­candy sheâs been trying not to flirt with on her lunch break. But whose side is he on? Ryanâs security firm is having a hard time getting off the ground, and this may be just the job to help the company out. 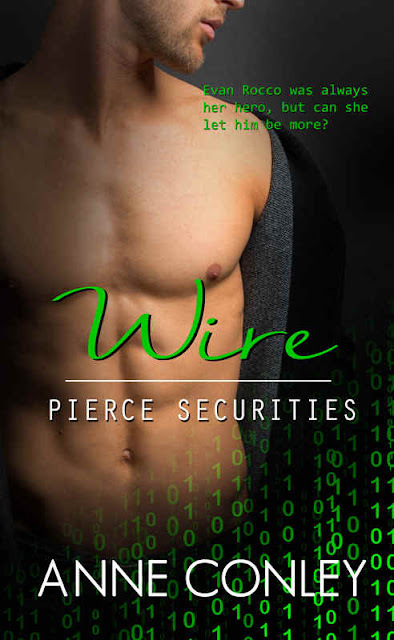 But pseudo Â­bounty hunter isnât really what Pierce Securities is trying to get a name for. When he finds out their target is the classy lady from the park, all of Ryanâs senses go on high alert. What do these men want with her? Krista is forced into Ryanâs sanctuary in the woods, where she realizes just how wild he is, but she doesnât want to tame him. 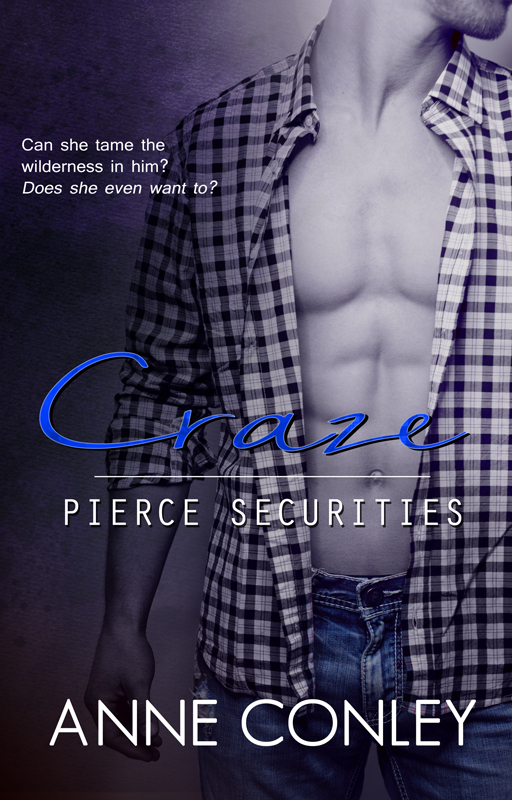 He may feel his methods of protection endangered her, but without Krista in his life, Ryan is crazed. 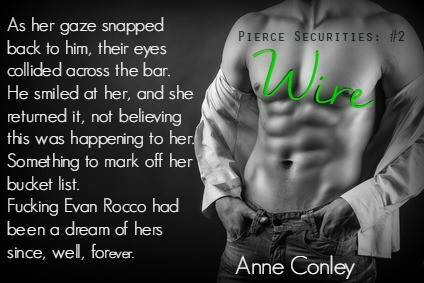 This is book #1 in the Pierce Securities, a Romantic Suspense series by Anne Conley, author of the Stories of Serendipity and The Four Winds. Anne has written her entire life and has the boxes of angst-filled journals and poetry to prove it. She's been writing for public consumption for the last four years. Currently she is writing three romance series. In Stories of Serendipity, she explores real people living real lives in small town Texas in a contemporary romance setting. In The Four Winds, she chronicles God's four closest archangels, Uriel, Gabriel, Raphael, and Michael, falling in love and becoming human. In Pierce Securities, she gives us Ryan, Evan, Miriam, Zack, Quinten, and Simon. She lives in rural East Texas with her husband and children in her own private oasis, where she prides herself in her complete lack of social skills, choosing instead to live with the people inside her head. I prefer a good book, over a good night's sleep. If I don't have my kindle on me when I leave the house, hell must have frozen over. This blog is my opportunity to share what makes me laugh, cry, and hate that a book has ended.